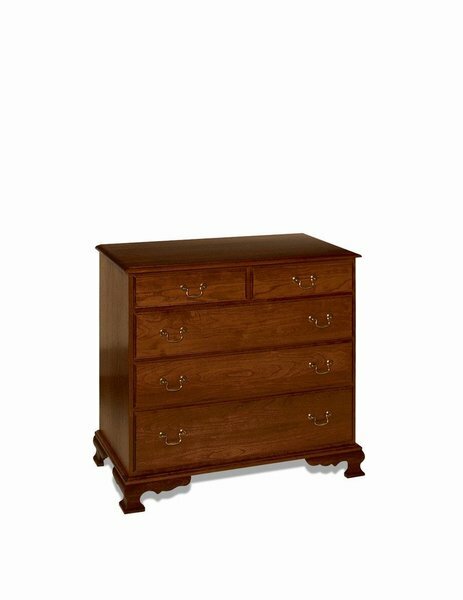 This solid wood Colonial Single Dresser has the feel of an early antique. Add the swivel mirror with three drawers or the Queen Anne style mirror to complete the look. We offer a variety of hardware such as the Chippendale or brass bail hardware. The drawers are dovetailed for years of everyday use. It is available in oak or cherry wood and handcrafted by experienced woodworkers in Lancaster, PA. Please call for more information on this beautiful American made dresser! This beautiful dresser takes six to ten weeks to be handcrafted for each customer.